KUSA — Testimony during a sentencing hearing on Monday and an ensuing news conference from the Weld County District Attorney's Office revealed the trail of lies that followed Chris Watts before and after he murdered his pregnant wife Shanann and their two young daughters Bella, 4, and Celeste, 3. The results of the hearing were a foregone conclusion: Chris Watts will die in prison, where he'll serve five life terms (two consecutively) plus 84 years after pleading guilty to five counts of first-degree murder, one count of unlawful termination of a pregnancy (for which he received 48 years) and three counts of abuse of a corpse (he was sentenced to 12 years for each charge). During the sentencing, Weld County District Attorney Michael Rourke offered new details about how Shanann, Bella and Celeste died, as well as Chris Watts' affair -- which prosecutors said is the only explanation they've found for the horrific crime. Below is a recap of the case with the newest information we learned in court and from newly-released autopsy reports. Shanann Watts’ friend dropped her off at her home in Frederick just before 2 a.m. on Aug. 13. She had been on a business trip in Arizona. During initial statements to police, Chris Watts said he last saw his wife at 5 a.m. that day. An hour before, according to the affidavit, he told Shanann Watts that he wanted a separation and she said she was going to go to a friend’s house that day. According to testimony during the sentencing hearing, none of this is true. Rourke said Chris Watts strangled his wife early that morning and smothered his two daughters. He would then load their bodies into his work truck and drive them out to a remote oil site where he worked. Chris Watts buried his wife in a shallow grave. Bella and Celeste's bodies were found in nearby oil wells. Shanann Watts was reported missing the afternoon of Aug. 13 after a friend became worried when she didn’t answer text messages and missed a 10 a.m. doctor’s appointment. When police searched the Watts’ home, Shanann’s purse was still inside and her phone was lodged between two couch cushions. Chris Watts spoke to 9NEWS the day after his wife’s disappearance and implored for the safe return of his wife and daughters ... even though prosecutors said he knew they were never coming home alive. Ultimately, according to Rourke, investigators found Shanann, Bella and Celeste Watts' bodies via GPS information on Chris Watts' work truck. After the murders, he had gone into work and acted like nothing was wrong. All of this evidence contradicts what Chris Watts ultimately confessed to police. According to the affidavit, Chris Watts initially told investigators that during the early morning hours of Aug. 13, he told Shanann he wanted a separation. He later claimed he saw Bella “sprawled out” on her bed and his wife “actively strangling” Celeste via a baby monitor on their bedside table. Chris Watts told police that he then strangled Shanann Watts after he "went into a rage." This was just one in a string of lies, Rourke said. And by pleading guilty, even Chris Watts himself admitted that this account was untrue. Rourke said there's no way to explain why Chris Watts did what he did. Investigators did learn that Chris Watts was involved in an affair with a coworker. Shanann Watts was actively working on her marriage, Rourke said, and even bought Chris Watts a self-help book. Chris Watts threw that book in the trash, according to prosecutors, and spent his time texting his girlfriend and searching for jewelry and isolated vacations. While Shanann Watts was on vacation with their children, Rourke said Chris Watts took his girlfriend to the Sand Dunes and a car museum. Following the disappearance of Shanann and the girls, Rourke said Chris Watts' girlfriend came to prosecutors. However, she had already deleted much of their correspondence on their phone. Rourke said there did not appear to be any other stressors in Chris Watts' life beyond the affair, and he could not say why he didn't simply get a divorce. The initial charges indicated that prosecutors did not believe Chris Watts’ assertion that his wife killed their young daughters, since he was charged with both their murders. Watts was charged with five counts of first-degree murder – and two of those are for killing a child under 12. He pleaded guilty to all of these charges, in addition to unlawful termination of a pregnancy in the first-degree and three counts of tampering with a deceased human body. Watts received three life sentences for the first three murder charges that will be served consecutively, and then two to be served concurrently for the counts for killing a child under 12. He was sentenced to 48 years for unlawful termination of a pregnancy and 12 years for each count of tampering with a deceased human body. The autopsy reports in the case were finally released on Monday afternoon. She was planning on having a gender reveal party the weekend after she disappeared. The baby was going to be a little boy, according to family friends. Four-year-old Bella was quiet and very sweet, according to a family friend, while 3-year-old Celeste was very outgoing and always up to something. 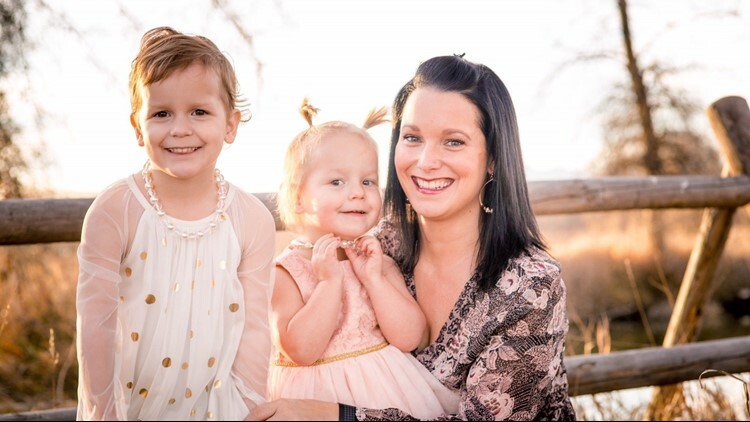 Three years before Shanann Watts and her daughters were killed, the family filed for bankruptcy with less than $10 in their savings accounts, according to federal documents obtained by 9Wants to Know. The couple that let Chris Watts stay in their home after learning his wife and daughters had disappeared told 9NEWS they had "no idea" what happened. They are now caring for the Watts' dog, Deeter. "Had we had any inclination that we thought he was involved at all – no way would I have let him in my house with my wife and kid," Nick Thayer told 9NEWS reporter Jordan Chavez. After Chris Watts pleaded guilty to all of the charges against him – something that prosecutors said was a two-week long discussion – his mother told 9NEWS she still wonders whether he truly committed everything he was accused of. Cindy Watts told 9NEWS that his attorneys cut off contact between Chris Watts and his family, and they were never able to discuss the plea before it was finalized. Cindy Watts said she did not go to Chris and Shanann Watts’ wedding because they did not get along, and that friction continued throughout the marriage. During the sentencing, Watts' parents said they believe he did what he did. They spoke to the District Attorney's Office beforehand and heard more evidence. They asked for Chris Watts to confess -- something that didn't happen on Monday. Chris Watts will be taken to the Denver Regional Diagnostic Center. After an evaluation from the Colorado Department of Corrections, he will either be transferred to a prison in-state or potentially out-of-state. The victims will receive restitution in this case, Rourke said. Part of that will come from whatever he earns in prison.